“Affairs are now soul-size,” says one of the soldiers in Christopher Fry’s play, A Sleep of Prisoners. I for one certainly feel them to be so. 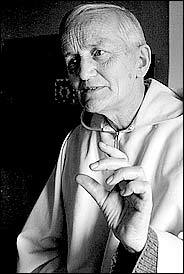 Figuring large for me in these affairs is the ideal of harmonizing within myself the claims of the spiritual traditions of the Church with ongoing esoteric study and effort. Continual inspiration for this ideal comes to me from a love affair of 24 years duration with the Meditations on the Tarot – A Journey into Christian Hermeticism. It has much to do with metanoia, i.e., a change of heart; also with gratitude, and with giving honor where honor is due. 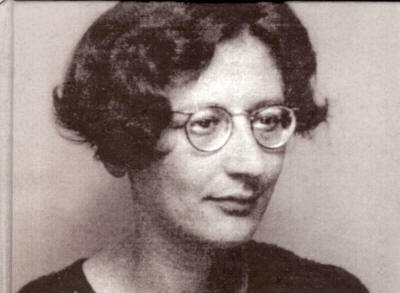 Of course many other obstacles beside the catechism serve to prevent the great majority of such souls from entering the traditional church, as the 75 or so pages of Simone Weil’s Letter, a good case in point, make abundantly clear. It is well past the midpoint in her exposition of what constitutes for her such obstacles that Weil declares, “The Church is only perfectly pure under one aspect; when considered as a guardian of the sacraments. What is perfect is not the Church; it is the body and blood upon the altars” (ibid. p. 44). Though it would not at all be difficult for almost anyone to write a lengthy list of the shortcomings and transgressions of the institutional church, surely the above remarks of Brother Roger merit serious attention. Is Christianity primarily a matter for the pure? Is it primarily a matter for the small group? If so, what then would be the implications of this viewpoint for me, were I to adopt it? Or is Christianity first and foremost a matter for all humanity, never mind how simple of soul, how theologically unsophisticated, how spiritually untalented, the greater portion of its members? * If this is instead the case, what now would be the implications for me, were I to adopt this viewpoint? How after all is “Christ’s ongoing life in the world” effectively to “be passed on” to others? 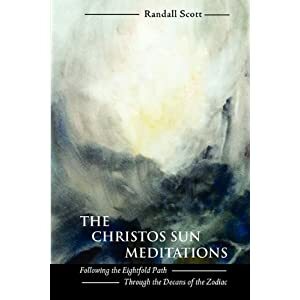 Is there in the Church a stream of living tradition to be found that is wanting further “ennoblement and spiritualization”, as the Meditations on the Tarot (p. 353) has it? Is there an impulse I might allow to work through me that would help effect, however modestly, “the rejuvenation and intensification” of that tradition? Is there room for a kind of freely acknowledged obligation, as it were, arising out of an awakened gratitude, indeed an ever-growing admiration, for this living tradition’s existence over the span of two thousand years? And, from the depths of my heart, what might I come to feel the nature of this freely acknowledged obligation to be for myself? If the matter I have brought here is a “soul-size” affair for you also, dear Reader, I invite you to share your thoughts with me on this blog, so that a conversation of many voices may develop. Only in this way, as I see it, might the question my friend asked of me have any chance of being adequately addressed.
. . . Those who have faith quickened through love and charity are reformed to the likeness of God: even though it is the least degree of charity, as with simple souls who do not feel the gift of special devotion or spiritual knowledge of God as some spiritual men do, but believe in a general way as holy church believes without fully knowing what that is, for they have no need. And in that faith they keep themselves in love and charity toward their fellow Christians as far as they can, fleeing all mortal sins according to their knowledge, and doing the works of mercy toward their fellow Christians. All these belong to the bliss of heaven, for so it is written in the Apocalypse . . . You that fear God, both little and great, thank him. By “great” are understood souls that are proficient in grace, or else perfect in the love of God, who are reformed in spiritual feeling. By “little” are understood the imperfect souls of worldly men and women, and others that have only a child’s knowledge of God and very little feeling of him but are brought up in the bosom of holy church and nourished with the sacraments as children are fed with milk. All these shall praise God and thank him for the salvation of their souls by his infinite mercy and goodness. For holy church, who is mother of all these and has tender love for all her spiritual children, prays and pleads for them all tenderly to her Spouse, that is, Jesus, and gets for them healing of soul by virtue of his passion, especially for those that do not know how to speak for themselves for their own need by means of spiritual prayer. Thus I find in the gospel that the woman of Canaan asked our Lord for the healing of her daughter, who was troubled by a devil; and our Lord at first made a difficulty, because she was a foreigner. Nevertheless, she did not stop crying until he had granted her request and spoke to her like this: “Ah woman, great is your faith. 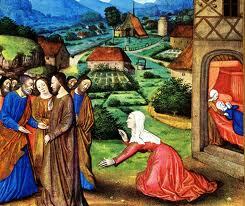 May it be for you as you wish.” And in the same hour her daughter was made well. This woman signifies holy church, asking our Lord’s help for the simple ignorant souls that are troubled with worldly temptations and do not know how to speak perfectly to God with fervor in devotion or burning love in contemplation; and although it may seem that our Lord at first makes a difficulty because they are as it were alienated from him, nevertheless because of the great faith and merit of holy church he grants her all she wants. And so these simple souls who believe steadfastly as holy church believes, putting themselves wholly in the mercy of God and humbling themselves beneath holy church’s sacraments and laws, are made safe through the prayer and faith of their spiritual mother, who is holy church. I was raised catholic and attended catholic school for 10 years. I am totally grateful for the religious education I received in part. The part that I connected to were the stories, festivals and the music. I also had a deep devotion to Jesus Christ and the sacrament of communion. However, I learned early on that any questions I had were not to be verbalized because they were met with it is a mystery. This I say even though my grade school experience was mostly filled with fear right from first grade which, in part, caused me to reach the threshold of death at age 8. Meeting Anthroposophy was like coming home and I could not go back to the catholic church. I feel that even though we are all children of God, we are not all equal in our spiritual development and the catholic church and all other religions have a place. It is true that some find solace in faith alone and do many good deeds from there but I am one that always needs to solve a mystery, or get to the root of the mystery, a Sherlock Holmes. 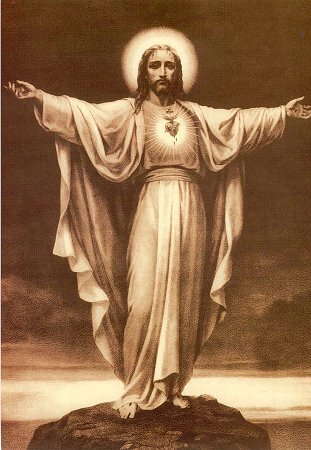 The catholic church, of itself, does not meet/feed my head and heart as Anthroposophy does. The church expects to be the authority/parent and I do not feel the need for this but see how this is very necessary for souls who fel comforted by this. This is why I am not for a government taking over my rights either. I am totally grateful for the stories and the reverance instilled through this upbringing inspite of or because of the negative aspects within the church, because now I can bring these spiritual/moral pictures through the fairy tales to the children and adults through puppetry and in the process connect with the beings of past and future who inspire one through this medium to help inspire the children in difficult times today and encourage and touch the souls of adults. One would have to be stone blind not to see the negative aspects of the Church. Your adverse experiences growing up as a Catholic echoes the experience of many others who render similar accounts. Clearly, for you, harmonizing Roman Catholicism and Christian esotericism in its anthroposophical form has not been felt to be an option. Your discovery of, and working with, anthroposophy has had a decidedly liberating effect, and you follow that path quite happily, exclusive of all Catholic practice, grateful nevertheless for the positive aspects of your religious upbringing. My situation is different. I have had no Catholic upbringing to fight against or to be grateful for. My upbringing was unaligned Protestant until age 13, when it became fundamentalist due to my Father’s conversion into the Southern Baptist Church. After a short spell of atheism at around sixteen, then agnosticism at eighteen, I discovered with great relief the Episcopal Church in its Anglo-Catholic aspect at twenty, which I adhered to for the next eleven years. At age 31, in 1978, about a year after I discovered anthroposophy, I became an active member of the Christian Community, remaining in that community until about 1988. By this time I had begun studying the Meditations on the Tarot – A Journey into Christian Hermeticism. I experienced this book as a wonderful revelation. Having encountered by this time the egregore, i.e., the dark side or “double”, of the Anthroposophical Society, I felt very much a liberating effect that you say you felt with your discovery of anthroposophy. (One previous liberation was my discovery of the Episcopal Church; another liberaton was, as it was with you, the discovery of Rudolf Steiner’s works). Having immersed myself in Meditations on the Tarot over many years, I have felt an ever-increasing empowerment to deal with the negative side (egregore) of two entities intimately impinging on my soul: organized religion in the form of the Catholic tradition and organized esotericism in the form of anthroposophy. In my experience both egregores exist and both are very powerful. I feel that, having experienced both and acknowledged both, I am able to deal positively with both, and thereby undertake the adventurous enterprise of bringing into harmony within myself their positive sides: their higher aspirations toward truth, beauty and goodness through sainthood on the one hand, through initiation on the other, while not forgetting their central task of bringing Christ to the human soul. This enterprise of course must include in full measure the serious and relentless labor of transforming my own double. After a steady enough Presbyterian childhood, my path was through Steiner to the Meditations on the Tarot which has had a profound effect. Knowing of the author’s battles with the (anthroposophical) egregore, and his chosen path of entering the church makes it a serious question for me. I can freely confess whole-heartedly that I am altogether born in and made of sin; after much effort of mind, I know it’s true. If, as a twentieth century person, someone or group had tried to enforce this upon me I would have surely used that same intellect to rebel, denial (of this and anything else the Church stood for) being the quickest path. The Catholic tradition has always focused on educating (saving) the soul. Bible stories in pictures, shimmering through the incense, the unintelligible language, deeply meditative music, all designed to bypass the brain. Yet V T tells us go into (bring your heart to) any church, that the Master is ALWAYS meet-able there. What you say about sin pretty well approximates what Saint Francis had to say on that subject: “I have been all things unholy,” he declared, adding however, “If God can work through me, he can work through anyone.” This is an important point not to be missed. “Francis, build my Church,” said that figure on the cross in the ruins of San Damiano, and whether the egregore would have it otherwise, whether Francis was all things unholy or not, the great saint set about his mission forthwith, not looking back, bringing his burning heart into the Church. As you say, Catholic tradition focuses on educating (or saving) the soul, and here we have Francis completely devoted to the business at hand, helping to save the soul of the church, educating it (“Preach the Gospel. If necessary use words.”) into new life, becoming a role-model for anyone coming in later who would not be content simply to criticize the church, but, loving her with all her warts, faults and shortcomings, would seek in complete loyalty to “rejuvenate and intensify its traditions”. By any standard he surely stands as a wonderful inspiration to those who would want to see the Church become more “unambiguous, more true, more pure” than she is – in this era or any other.